You’ve probably clocked on by now that I’m a big fan of the Liz Earle Colour range (see earlier reviews on Sheer Skin Tint, Natural Glow Bronzers and Healthy Glow Blush, and Natural Finish Loose Powder and Black Eye Pencil). This means I’m very excited to tell you that in a month’s time, the 29th of August brings the launch of Liz Earle Nail Colour*! Eeeek! 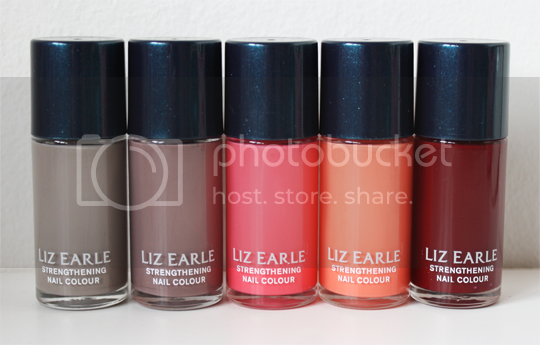 The range of 12 colours is fairly gentle and understated in terms of shades (this is Liz Earle after all) so if you’re looking for some crazy additions to your polish collection these won’t be for you. But we can all do with some subtle, demure shades in our stashes and this collection is perfect for that. The 12 shades features a selection of classic neutrals, pretty petal colours and sultry darks and they’re all named after different types of roses as a sweet nod to Liz Earle’s botanical heritage. They’re all luscious creme polishes with a good shiny finish, and they apply beautifully with opaque pigment and no dragging or pooling. They last exceptionally well too, I wore one for 10 days with no chipping at all and only minor tipwear. Very impressed! Whilst there’s nothing particularly exciting about the colours, they are a perfect addition to the Liz Earle Colour range and I’m really impressed with the formula. What’s more, they’re just £7.50 for a 12ml bottle which I think is a really good price. Below I’m wearing Bright & Breezy, a beautifully summery coral shade which is most definitely my favourite of the bunch. 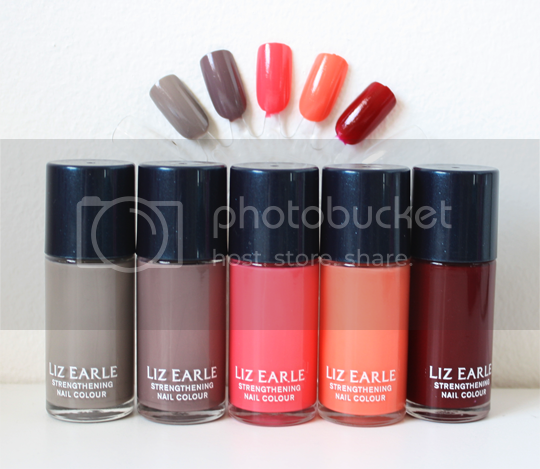 If you want to get your hands on any of the Liz Earle Nail Colour range, keep an eye out on the 29th August 2013 when they’ll be launched in Liz Earle stores, LizEarle.com, selected counters in John Lewis and Boots, and on QVC.